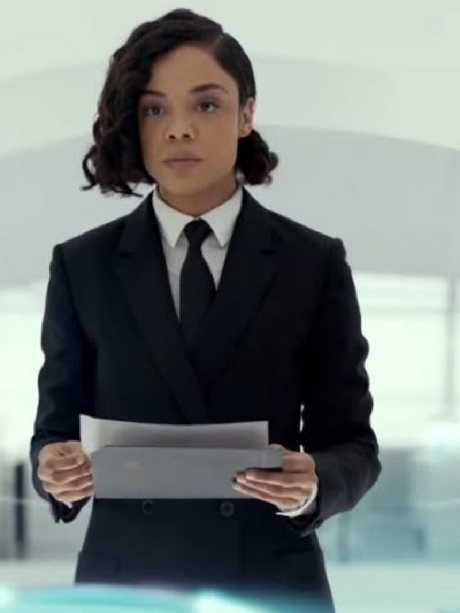 THE first full-length trailer for the upcoming Men In Black reboot has been released today, with Aussie Chris Hemsworth and Tessa Thompson teaming up as the alien-fighting duo. Set for release in June 2019, the film co-stars Liam Neeson and Emma Thompson and is the first film in the series since 2012's Men In Black 3, starring original duo Will Smith and Tommy Lee Jones. 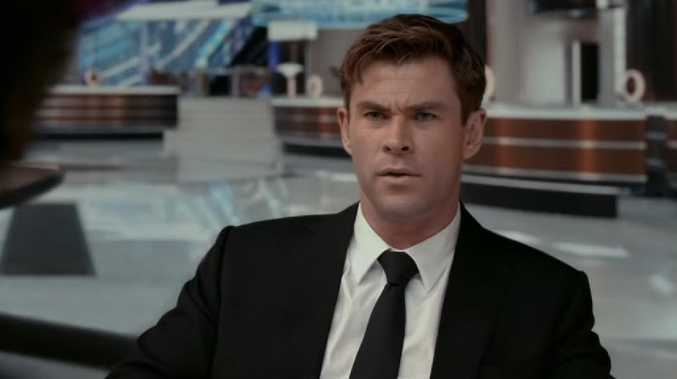 There's even a sneaky nod to Hemsworth's best-known character Thor in the trailer, when the star picks up a tiny hammer to throw at an alien. While we wait for the new movie to drop, we've dug up some little-known facts about the original movie - including who was offered the lead role before Will Smith and who the biggest diva was on set. The man famous for playing Ross on Friends was the first choice to play Agent Jay. David Schwimmer told The Hollywood Reporter last year that he was offered the role but turned it down because he was directing Since You've Been Gone. "About a month before production, I get the call about Men In Black, which was a direct conflict with directing that film," he explained. "I just said, 'I can't'." Schwimmer had cast all of his friends from his theatre company in Since You've Been Gone and he wasn't willing to screw them over. "You know, everyone was banking on doing this first film with me," he said. "These are my closest friends in the world, this is their first shot at a movie, my first shot at directing. I can't push [the timeline of the film back] because I've gotta go back to work on Friends in the fall." This coulda been David Schwimmer. You might think that Tommy Lee Jones is a bit of a grump but according to director Barry Sonnenfeld, he's actually "like a really big, goofy kid". For example, the "goofy" star developed a bad habit of doing his own sound effects on set. "Unlike real guns where you shoot blanks, our guns don't make any sound," Sonnenfeld explained to PopcornBiz. "Without fail Tommy Lee Jones, for hundreds and hundreds of takes over the course of three movies, ruined takes by making the sound of the gun while he shot it. "Tommy would go [makes a laser sound] and I'd go, 'Cut.' Tommy would go, 'What?!' 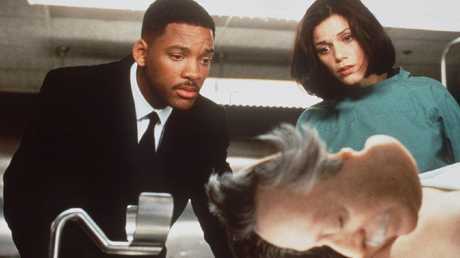 And Will [Smith] would be in hysterics because Will was standing next to Tommy and knew that Tommy made the sound of the gun again." The most demanding star in Men In Black wasn't Will Smith or even Tommy Lee Jones. It was in fact Mushu the pug. According to the dog's owner, Mushu [who is now deceased] was accustomed to a life of style. "He travels by crate in Business Class with Cristie [his trainer]," Cheryl Shawver, told The National Enquirer. "He goes under the seat. He stays in the hotel room with her, sleeps on her bed. She orders his meals from room service - steak, chicken. He drinks only bottled water when he's on the road. He's a VIP!" One of modern cinema’s most memorable childbirth scenes. Just as the stars of the film had their own assistants and minders, so too did the cockroaches featured in the movie. The Film & TV unit from the American Humane Association was on hand to make sure that no cockroaches were harmed during the making of the movie, and they took their job very seriously. As it states on the association's website: "When Mr. Jay kicks in the dumpster revealing the roaches, two trainers were inside releasing thirty roaches through a tube. As a safety precaution, 12" of Plexiglas surrounded the side and back of the dumpster and a 5" sheet was used for a barrier in front of the container. Plexiglas was connected to the floor and a coating of vaseline covered the top to keep the roaches contained. "Prop roaches were scattered around the thirty live ones to simulate a large number. The roaches seen on Mr. Jay's coat sleeve were placed there by the trainer and attached with monofilament line. To simulate the guts of the squashed roaches, the actor stepped on Mustard packets." Vincent D'Onofrio plays Edgar the Bug, an alien that wears the skin of a farmer he killed as a disguise. The character has a rather distinct walking style which D'Onofrio pulled off with the help of leg braces. "I was walking by a sporting goods store one day, and I saw these braces that the basketball players wear," the actor told Allocine. "I went in and I tried one on and I realised you could lock it off, you could tape the hinges so that you can't bend either way. So I bought two of them and I took them home and I put them on. So, I slightly bent my leg and locked off the braces so I couldn't move either way, but it was slightly bent and I taped off both my feet and I tried to walk and it created this restrained, physical odd thing." 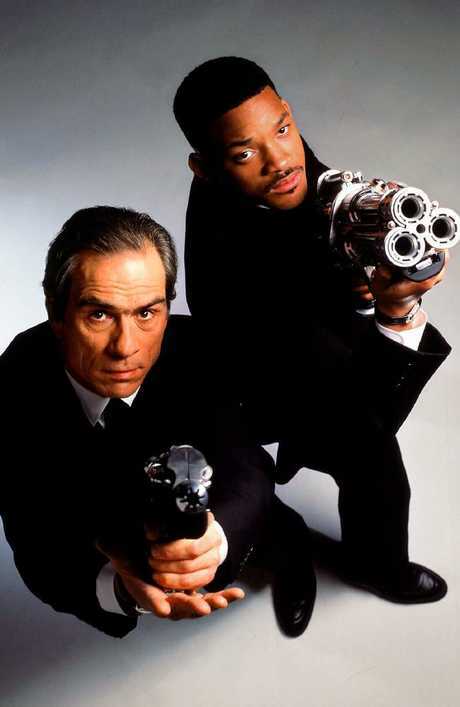 Will Smith and Tommy Lee Jones in the original film. Jaden Smith grew up watching his dad in sci-fi films including Independence Day and the Men In Black movies. So it's not too surprising that the inquisitive youngster seized the opportunity to ask former President Barack Obama about whether or not aliens really exist. As Will Smith revealed in a BBC radio interview, Jaden had warned his dad that he wanted to ask the President about the controversial topic the night before they went on a White House tour. "Jaden had said to me, 'Dad, I got to ask the president about the aliens'," Smith said. "I was like, 'Dude, no. It's not cool. It's not cool. It's embarrassing. Do not ask the president!'" But Jaden couldn't help himself when the tour headed down to the White House situation room. "Barack is starting to talk about this situation room and Jaden says, 'Excuse me Mr. President?' And I'm like, 'Hey, Barack man, listen?' And Barack said, 'Don't tell me.' And in perfect form - and this is why he is the president - he stopped and looked at Jaden and said, 'The aliens, right? OK, I can neither confirm nor deny the existence of extraterrestrials, but I can tell you, if there had been a top secret meeting, and if there would have been a discussion about it, it would have taken place in this room'."